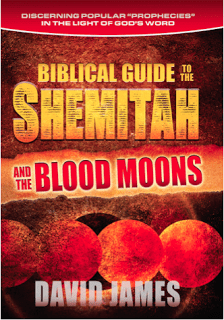 Gaylene Goodroad of Herescope has written a book review of David James’ new book “Biblical Guide to Shemitah and the Blood Moons: Discerning Popular ‘Prophecies’ in the Light of God’s Word.” In the book, Dave James lays to rest the notion that Jonathan Cahn (The Harbinger; Shemitah) and John Hagee (Blood Moons) are modern day prophets, as some people believe. In fact, both these men are false prophets. 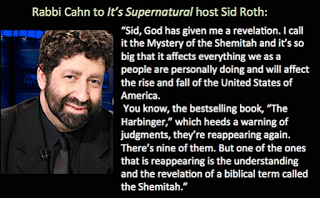 There is extraordinary publicity ramping up over the dire events that are predicted to happen the last few weeks in September this year, 2015.Charisma, for example, just ran an article titled “10 Things That Are Going to Happen Within 15 Days of the End of the Shemitah,” which attempts to prophetically connect the Jade Helm military exercises, selected United Nations conferences, and even the Pope’s upcoming visit to America events to the Blood Moons prophecies that have been popularized by men such as Jonathan Cahn, Mark Biltz and John Hagee.